At Custom Connector Corporation, we utilize more than 40 years of experience to create quality, American-made and designed industrial relay sockets, automotive relay sockets and connectors, electronic packaging products, terminal blocks and custom designed electro-mechanical interconnect devices. 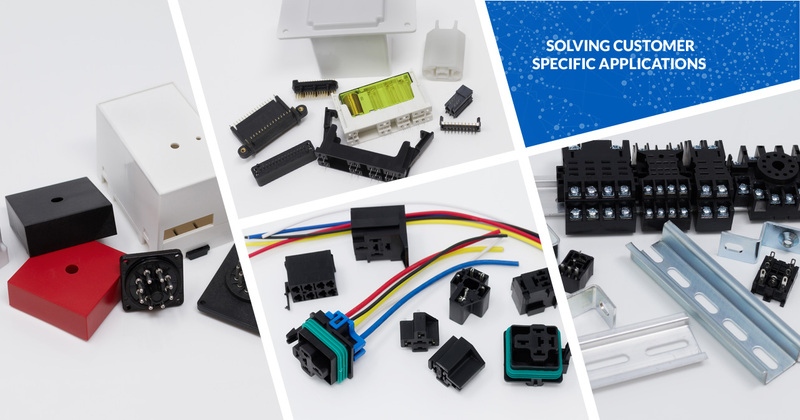 Whether it’s a light-duty circuit board application or a heavy-duty hard wiring problem, send us your requirements and let one of our design engineers provide solutions for you. Copyright © 2017 Custom Connector Corporation. All rights reserved.